First timer in Orca Jam 2017, had a great time and made a tiny game. Hope you enjoy it! 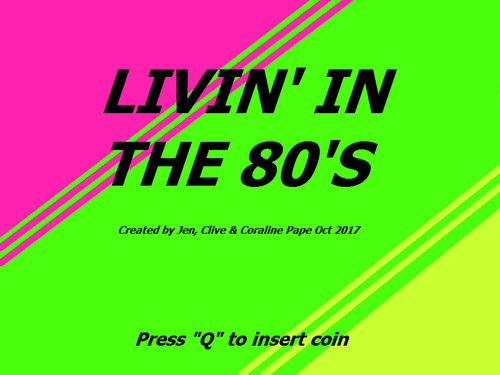 Collect tapes of 80's music clips... quickly!